Looking for a free screen recorder and video editor for your YouTube channel? You’re at the right place. In this article, I will cover 3 best free screen recorder and video editor for YouTube you can use on your Windows PC or Mac. All programs are tested carefully, easy and safe to download. Stay tuned! ActivePresenter is one of the best free screen recorder and video editor for YouTube you can try now on Windows or macOS. When Will You Need a Free Screen Recorder and Video Editor? Over the past few years, making videos for YouTube has become an effective way content creators used to make money online via Google Adsense and affiliate networks. Commonly, content creators often used only a single video editing software to cut, trim their raw footage, add a title, some filters, a background music track and upload it to YouTube. There are also some kind of content creators who usually make screencast videos such as how-to tutorials, software demos or a game-play recording with commentary, that’s when you need a 2-in-1 program: free screen recorder and video editor. Among more than 30 free tools I’ve tried, here are 3 best programs I recommend you to try for creating your next YouTube videos. All these programs are 100% free to use. If you like any of them, just follow the link to download it. ActivePresenter is one of my favorite screen recorder and video editor for making YouTube videos. It’s especially useful when you want to create online training videos such as software simulations, product demonstrations or how-to tutorials. ActivePresenter lets you capture full high definition video from the screen with audio from microphone, system sound and your webcam simultaneously. Once you’re done with your recording, you can cut, trim, crop your video, add animated text title, close caption, adjust background audio, voice-over and use its smart annotation tools to polish your video too. Finally, the program lets you export video into MP4, AVI, MKV or WebM without watermark or time limit. To learn more about ActivePresenter, click here! Microphone & Speakers Recording: Record system sound and audio from microphone simultaneously while recording screen. In Audio & Video settings, you are able to choose: Flash screen video, MPEG-1 or MPEG-2 video or H.264/MPEG-4 AVC. These option will lead to changes in frame rate and quality of the videos. Added to that, Audio codec can be optimized in 16-bit PCM, Vorbis, MP3 in mono or stereo channels. VSDC is a simple to use free video editor and screen recorder for YouTubers who are using a Windows PC. This program is as simple to use as ActivePresenter plus dozen of advanced video and audio effects for making YouTube videos. VSDC allows you to record video from multiple screen with webcam, audio plus many advanced video editing features you may love to use such as chroma key, hyper lapse, masking tools and random transitions and more. VSDC is 100% free to use without watermark and it supports various input and output formats. To learn more about VSDC, click here! Another feature of the our editor is the ability to capture video from various video tuners, webcams, IP сamera and save the captured footage on your computer in an arbitrary format for subsequent editing. So, you’re still reading this article, means that you want something more elegant, more stylish than the above mentioned suggestions. That can be Filmora video editor of Wondershare. This free video editor is most lightweight, simple to use and powerful video editing suite I’ve reviewed. It has a built-in screen recorder too. Using Filmora Video Editor, you can edit video, add special effects and filters faster than other tools. Filmora’s video rendering speed is great too. 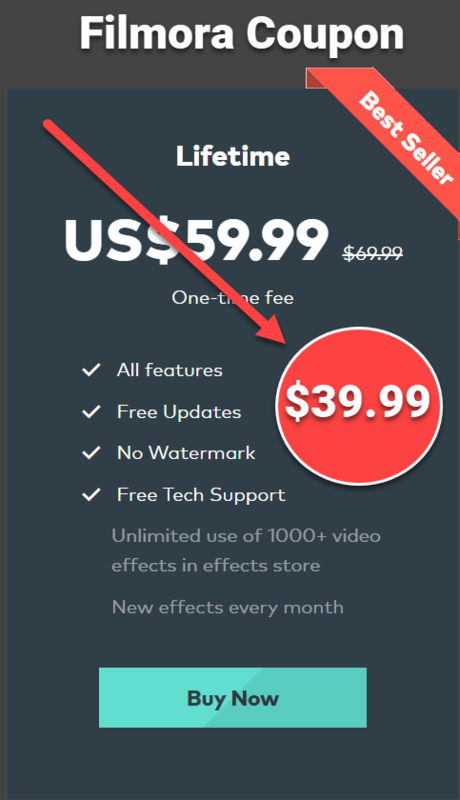 However, this free tool will leave a big watermark at the center of your video. To remove it, you’ll need to purchase a license which is $59.99 for lifetime. To learn more about Filmora, click here! Filmora Video Editor is a good video editing software for beginners who want to create attractive videos. It has all necessary tools to edit video and plethora of effects in the library. Making YouTube videos is not all about making money online. It can be fun too. With these free screen recorder and video editor for YouTube, you can create your own video at no cost. If you have any question about these programs, don’t hesitate to contact us any time. Don’t forget to follow us to stay up-to-date with our latest posts. How-to: Record Screen and Edit Video on Windows 10?